Welcome to We Like Shooting’s Double Tap, Episode 1, Tonight we’ll roast Jeremy’s Intervention and Savage’s shocking secret. 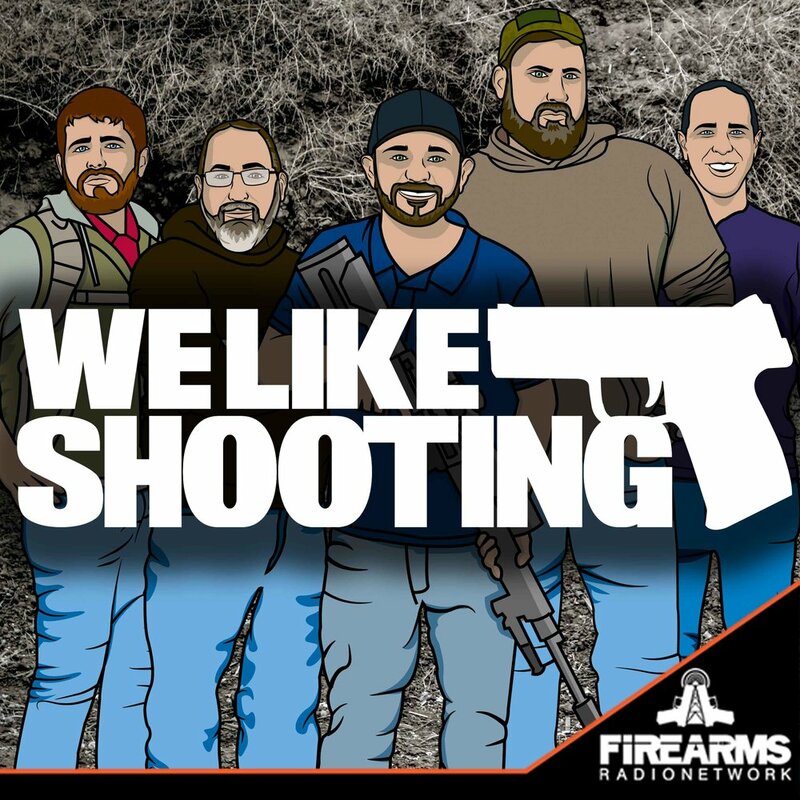 We’ll answer your questions on Dear WLS, we’ll talk about NOT GUNS, and revisit past gear! Welcome to Double Tap Everyone. What the show is. What is the difference in the .45 Colt and the .45 Long Colt? I want to know why my shoulder is getting sore with a 12 gauge instead of a 20 gauge with less kick. Let’s say both shells are shooting the same shot and powder. Looking at ballistics, the 12 looks like it’s maybe 50 fps faster (which may be the bore), but that’s all I can find. I think a 12 hits harder, but if so, why? So besides the gauge and everything else being equal, what is the difference? Is there a difference in power/energy/velocity in long and short barrels? How do I set up a 100 yard shooting range? THIS WEEKS TOPIC: How bad of a driver are you? Trivia question of the week, In the video We Like Shooting ruins Christmas, Aaron is wearing four patches on his jacket sleeves. Name them all and you could win a free We Like Shooting T-shirt., submit your answer via automated@welikeshooting.com.